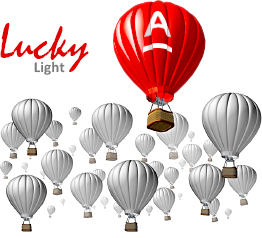 «Lucky» and «Lucky Light» credit products within consumer crediting from OAO «ALFA-BANK». An offer from «Alfa-Bank»: consumer credit for equipment buy. Crediting period: from 6 to 36 months. Minimum credit amount: 50 000 rubles. Maximum credit amount: 500 000 rubles. Percentage rate for credit use: annual 20%. Down payment: minimum 20% from the equipment cost (80% is paid by “Alfa-Bank”). Required documents: only passport of Russian Federation citizenship. Percentage rate for credit use: 17%. Download payment: minimum 20% from the equipment cost (80% is paid by “Alfa-Bank”). Required documents: passport of Russian Federation citizenship*. 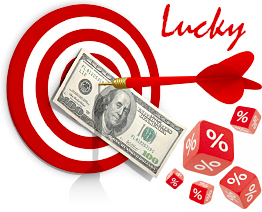 * To issue a credit according to “Lucky Light” offer it’s required to present one more document additionally to required identity document (passport of Russian Federation citizenship): international passport (with notes about abroad departures during last year) or valid Voluntary Medical Insurance Policy/Card. To obtain a Credit there is an Application Form which is fulfilled according to oral information provided by the client, upon this information the Bank renders a decision about consumer credit issue. Approval of this Application Form is proceeded in the presence of the client, and the reply concerning the possibility to obtain a credit will not make waiting. A moment of Application Form hand in by the client and a moment of Credit arrangement by the Bank are separated by “fragile” 5-20 minutes! A procedure of credit arrangement for equipment buy is made in the office of our Company – in the system of “ALFA-BANK” website. Our specialist can also register your claim by phone.